Thinking about reading aloud conjures up many happy memories for me. As a young child, I can remember being read to by my mom or dad just before bedtime. It was a special moment when my parents were able to bring alive the words on the page allowing me to immerse myself into the characters and plot of the story. Storytelling became the vehicle for expanding my imagination. Holding a book in my hand made me feel very grown-up, and I believed those books would somehow open the gate to new adventures. At this stage, I had no idea that the words on the page actually had form, structure, or meaning. That was to come later! While I was in primary grades, I was not a strong reader as I struggled with sounding out the words at the expense of understanding what I had just read (you can probably figure out that my language experience placed strong emphasis on phonics at the expense of whole language instruction). Over time, I learned that building my sight vocabulary and looking for patterns in word structure would make the act of reading a little easier. Reading was not joyful until I was able to listen to someone else read while I followed along with the text, which significantly helped my comprehension skills and expanded my vocabulary. I also learned to appreciate the “sound of the words” making the reading experience richer and more engaging. As I entered middle school grades, one of the highlights for me was rushing back to class following recess or lunch break, settling into my desk, and listening to the teacher read a chosen book to the class. 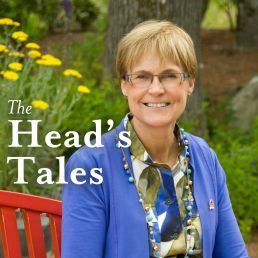 I can remember losing myself in the story as the teacher transported us into the text, capturing our attention through the use of her voice, accenting the prose with pauses, and stopping at times to allow us to ask questions or to share our feelings. In my senior grades, the value of read-alouds was most pronounced in my English Lit. class where the teacher exposed us to a variety of genres, stopping to explain rhetorical and literary devices including the literary style of the author within the context of the era in which it was written. My teacher believed that you had to “hear and feel” the language before you could appreciate it – in fact, she believed that reading at this level happened first through the ear. I absolutely loved this class and attribute my love of reading and my eclectic book selections to this individual. collecting juicy words, and working on their expression when reading out loud. In general, the value of read-alouds is that it brings all learners together, exposing them to language forms, differing text structures, and a variety of genres and topics that they may not have discovered on their own. 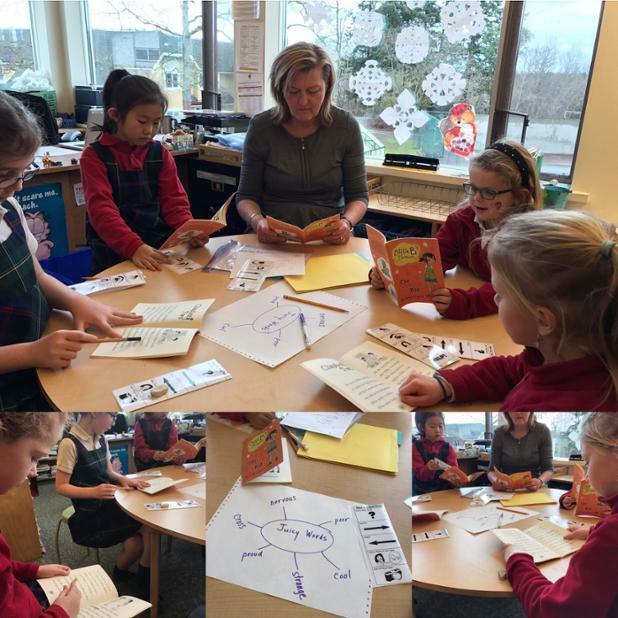 Read-alouds invite a group of students to share in a common experience generating discussion or reflection about ideas, thoughts, and personal connections regardless of reading ability. Read-alouds can help students appreciate the beauty and rhythm of language, and enhance their imagination. In addition, read-aloud sessions are a proven way of motivating students to read on their own, while also modelling good reading, promoting critical thinking, expanding vocabulary, and creating a sense of community. One of the most important things we can do for our girls at SMS is to model the pleasure of reading and to expose our students to a variety of genres that they might not necessarily navigate towards on their own. Reading aloud to children is one of the best ways to prepare them for learning to read, and to keep them reading as they learn and grow. Thursday, February 16 is World Read Aloud Day, celebrated at SMS and all around the world. Though Thursday homeroom time in the Senior and Middle Years is regularly dedicated to individual silent reading, on this particular Thursday, we are encouraging, group read-alouds in homerooms and pop-up poetry readings throughout the day. We hope you’ll join us in celebrating literacy as a family by curling up together with a good book.